At StoneImpressions, we take pride in our slogan 'On Any Stone and In Any Size'. 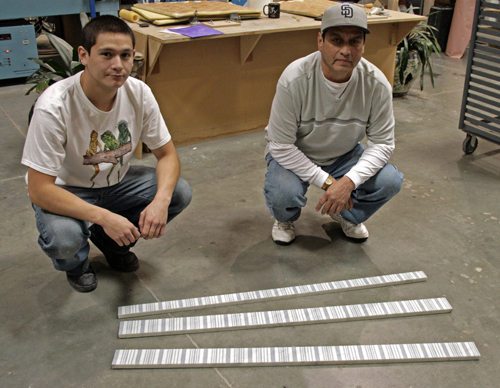 Along with being able to manufacture a product that is any size, we must be able to package it as well. And with the knowledge of our trusted team, we can do just that! Once our product is manufactured, the packing process begins. It all starts with shrink wrapping, which keeps every tile in its place. 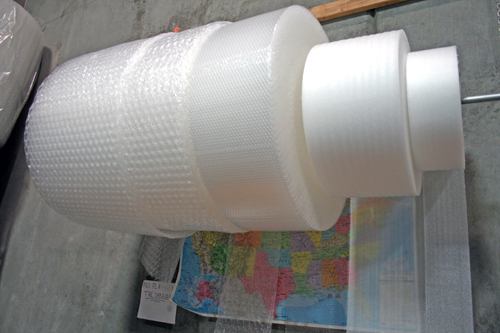 It is then wrapped up with our foam cushioning and bubble wrap. 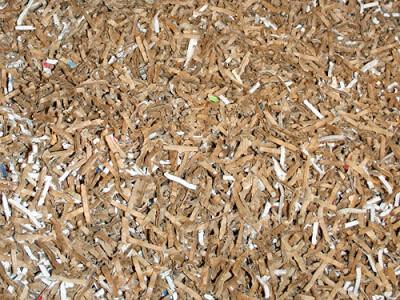 Being conscientious of our carbon foot print, we try to use as many recycled materials as possible. To accomplish this, we have created eco-friendly habits. We gather pallets and boxes from neighboring businesses. We shred scrap paper and post-consumer cardboard to use as packing material. 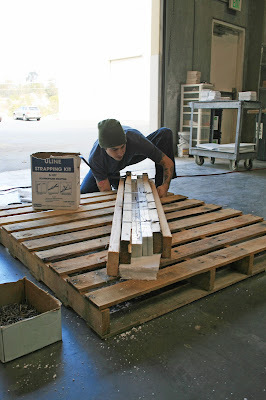 To custom fit each box to each order, we cut boxes down to fit the size of the material. 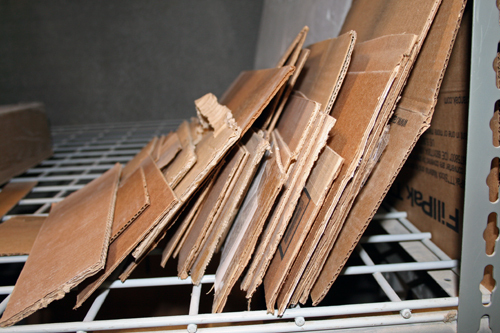 If we have any extra cardboard left after cutting down the box, we use those spare pieces to wrap tiles or fill. Once everything is nice and snug in the box, each package is taped up securely. 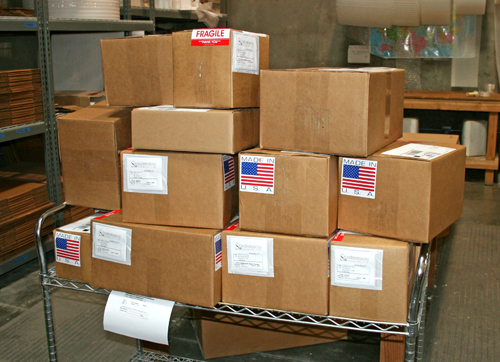 For larger orders, boxes are packaged in a crate or on a pallet. On occasion, we have to be inventive and figure out ways to package odd shaped orders. Like these 3x52, 2x52, and 1x12 Charleston Banks Listellos. To ensure that each order is handled with care, a fragile sticker goes on each package. 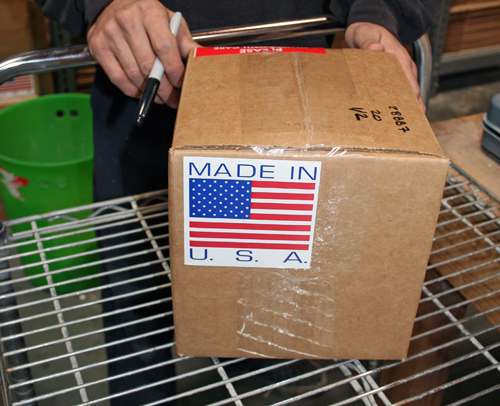 As a company we are proud to say that our product is made in America! To show off this pride, each package also receives a Made in USA sticker. Not only do we pay painstaking attention to detail in our manufacturing process, but we pay close attention to detail in the packing process. This is because packing is a critical step that shouldn't be overlooked. Thank you StoneImpressions warehouse crew for handling our product with care!